Disney animated sequel featuring the voice talents of John C.
Reilly and Sarah Silverman. 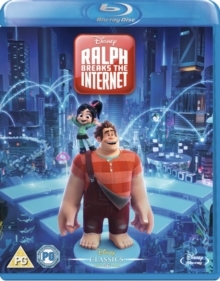 When Vanellope (Silverman)'s 'Sugar Rush' game is unplugged, Ralph (Reilly) decides the best way to fix it is to use the arcade's new Internet connection to go in search of the part they need. As the best friends explore the strange and dangerous online world, Vanellope discovers thrilling new racing game 'Slaughter Race', where she is finally able to unleash her racing skills. Meanwhile, Ralph becomes a viral celebrity, before he accidentally releases a devastating virus and breaks the Internet. Can he find a way to repair the damage he has caused and stop Vanellope from leaving him alone in the arcade forever?